The Altar Servers of the Malayalee community are part of the mainstream of Altar Servers' Sodality in our parish - St. Mary's church, Dubai where, both girls and boys get an equal opportunity. As Altar Servers of Malayalee community, they not only assist in the various services of the Malayalee community held in our church, they also serve as Lectors during the Malayalam Masses. The service of the altar servers is essential to the worthy presentation of the Traditional Masses, and it is a great privilege to assist the priest in this way. They have to wear their liturgical vestments while serving the Masses. Our Altar Servers get their training as they join the Altar Server Sodality of the church. Children who have completed 10 years and have received the First Holy Communion are eligible to join the Altar Servers' sodality. During their training, the importance of their call to be an Alter server is emphasised. They are told that they are the chosen children of St. Mary's Parish to serve in the sanctuary of our Lord and as such, they have to be holy and exemplary. 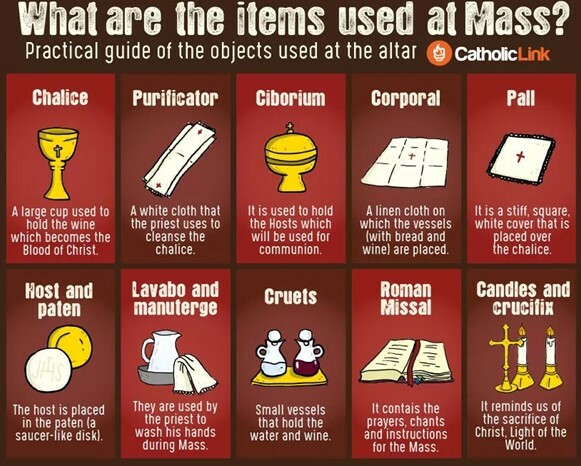 Children are given special training for using Thurible and the boat during Christmas, Easter Triduum, various feasts of the Parish, First Holy Communion, Confirmation services and adoration of the Blessed Sacrament. They also get the special training to serve the Holy Masses when Bishop is the main celebrant. Altar servers' monthly meetings are called by Mr. James Joseph at every second Thursday of the month where they are given instructions to improve in their performances as an Altar server. After the children are inducted into Altar servers' sodality, they are also trained to serve the Masses in the Syro Malabar Rite. There are trained adults as Alter Servers for the Masses in the Syro Malankara Rite. The encouragements of our Spiritual Director Fr. Alex Vachaparambil and special interest taken by the parents make the Altar servers' sodality a great blessing to the Malayalee community. എപ്പോഴും സന്തോഷത്തോടെയിരിക്കുവിന്‍. ഇടവിടാതെ പ്രാര്‍ഥിക്കുവിന്‍. എല്ലാക്കാര്യങ്ങളിലും നന്ദി പ്രകാശിപ്പിക്കുവിന്‍. ഇതാണ് യേശുക്രിസ്തുവില്‍ നിങ്ങളെ സംബന്ധിച്ചുള്ള ദൈവഹിതം.